Montana governor allows Yellowstone Park bison to roam Record number of dead grizzlies in Greater Yellowstone! Wildland preservation is motivated by a variety of ethical, biological, cultural, and recreational concerns. Rarely are efforts to protect wildlands motivated by an interest in promoting economic growth. Those working on wildland preservation issues have been forced to take up with the issue of local economic impacts because those supporting commercial development of those wild natural landscapes emphatically assert that wildland preservation damages the local and national economies by restricting access to valuable natural resources and constraining commercial economic activity that otherwise would take place. The above quote from a recent editorial in the Bangor Daily News represents a frequent response that people have to any proposal to designate lands as parks, wilderness or other wildlands reserve. Yet numerous economic studies suggest that protecting landscapes for their wildlands values at the very least has little negative impact on local/regional economies and in most instances is a positive net economic benefit. Not only are there economic opportunities that come with protected lands, including the obvious tourism-related business enterprises, but land protection has other less direct economic benefits. Wilderness and park designation creates quality of life attributes that attracts residents whose incomes do not depend on local employment in activities extracting commercial materials from the natural landscape but choose to move to an area to enjoy its amenity values. Wildlands designation can also reduce costs and expense for communities by providing ecosystem services that would otherwise entail costs to taxpayers. Most importantly wildlands protection is often the best way to preserve biodiversity which is the foundation for evolution. There is a great ethical, emotional, and economic cost to species loss and ecosystem degradation. Indeed the overwhelming evidence from many case studies and reviews around the country demonstrates that wildlands protection is an overall positive net economic benefit to communities and regional economies as well as contributing to an enhanced quality of life. Starting with Yellowstone National Park, the Nation’s first wildlands preserve, people have been lamenting how land preservation policies would stifle economic development. For example, upon the designation of Yellowstone in 1872, the Helena Gazette opined that the creation of Yellowstone was “a great blow to the prosperity of the towns of Bozeman and Virginia City.”[ii] Yet today most Montana residents, particularly those in Bozeman, would agree that Yellowstone National Park is one of the primary economic engines of the regional economy. Similarly when Jackson Hole National Monument was established by Franklin Roosevelt in 1943, the local leaders of Jackson declared that Jackson would become a “ghost town.” So certain were they that monument designation would be an economic disaster, the Wyoming’s Congressional delegation introduced a bill to eliminate the park. The bill successfully passed both branches of Congress. The monument only survived because Franklin Roosevelt vetoed the bill. Today Jackson is anything but a ghost town and has one of the most vibrant economies in Wyoming. There is evidence that designated wilderness enhances private property values without a rise in in the demand for public services. In the Green Mountains of Vermont, Spencer Philips found that towns in or near designated wilderness had higher property values than those further away. [vi] This is based upon the demonstrated relationship between quality of life attributes which often include high quality recreational opportunities as well as protected natural environments and the decisions by people to locate near such natural amenities. In particular, the attraction of protected landscapes spurs the movement of “foot loose” businesses and retirees to wilderness counties who bring “outside” money to local economies. This can help to diversify rural communities, providing greater economic stability to these communities. A final way that protected lands have economic value is in avoided costs. Resource exploitation has many negative impacts that are often borne by society, future generations and/or natural ecosystems. Cleaning up the waste from abandoned mines, repairing streams trampled by livestock, recovering salmon harmed by sediment from logging roads, are all well documented costs that have over the years been transferred to taxpayers and future generations as a consequence of the commercial exploitation of natural landscapes. Protecting land in wilderness areas, national parks, and other protected landscapes, avoids these potential costs. The value of protected areas for economic prosperity in today’s world is clearly well documented. In most cases protecting land, rather than exploiting it, is by far the wisest economic and economic development prescription. In that sense, the economic arguments used against protecting wildlands are factually and conceptually flat out wrong. As pointed out above, the ongoing residential development in many of America’s rural areas is importantly supported by the open space, scenic beauty, wildlife, recreation opportunities, and overall environmental quality that existing wildlands provide. But that ongoing residential development also is one of the most powerful forces threatening wildlife habitat, air and water quality, and open space. So those working to protect wild natural landscapes do not want appear to support mindless commercial “boosterists,” promoting unlimited growth as they rebut the arguments that protecting wildlands undermines local economies. The best way to avoid being backed into that position while making the economic case for preserving wildlands is to emphasize the fact that the biggest long-term economic problem most areas face is managing growth, not coping with long-term economic decline. Going forward we will have lots of economic opportunities: We are not beggars; we can afford to be choosers; and we have an ethical obligation to the land and future generations to be good “choosers.” That was the original vision that brought the Wilderness Act into existence a half-century ago, and the one that should continue to sustain efforts to permanently protect our remnant wild landscapes. Authors Bio: Thomas Michael Power is the former Chair of the U of Montana Economics Department. Among other publications, he has written Post-Cowboy Economics: Pay and Prosperity in the New American West, Environmental Protection and Economic Well-Being: The Economic Pursuit of Quality, Lost Landscapes and Failed Economies: The Search for a Value of Place, among other publications on the link between wildlands and economic opportunity. 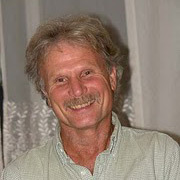 George Wuerthner is the Senior Scientist for the Foundation for Deep Ecology and has published 37 books , including a number that deal with wilderness areas and protected areas. His forth-coming book Protecting the Wild—Parks and Wilderness as the Primary Strategy for Global Conservation will be published by Island early in 2015. He has visited more than 400 designated wilderness areas around the country. [i] http://bangordailynews.com/2014/05/11/opinion/contributors/the-katahdin-region-must-reinvent-itself-to-once-again-thrive/ The Katahdin region must reinvent itself to once again thrive. [ii] Bartlett, Richard. Yellowstone: A Wilderness Besieged. University of Arizona Press: Tucson, 1985. p. 12-73. Western United States. Journal of Regional Science 38 (1): 109-136. Economic Prosperity in the Non-Metropolitan West. Journal of Regional Analysis and Policy. [vii] Rudzitis, G., and H. Johansen. 1991. How important is wilderness? Results from a United States survey. Environmental Management 15(2): 227-233. [x] Power, Thomas 2001. The Economic Impact of the Proposed Maine Woods National Park and Preserve. RESTORE the North Woods, Hallowell, Maine. [xiii] Sedell, J., et al. 2000. Water and the Forest Service. FS-660. USDA Forest Service, Washington, DC. [xiv] Duffield John. 1990. Economic Valuation of Fisheries: Nonmarket Studies in the Clark Fork Basin http://cas.umt.edu/clarkfork/Past_Proceedings/1990_proceedings/duffield/Duffield.htm . Expressed in 2014 dollars. As is frequently the case, facts mean nothing in the debate for/against a new national park in Maine. Again, as is frequently the case, the issue has been controlled by a very small number of local people and special interest groups who have political clout far above their numbers and with no evidence to support their anti-park position. The park would not even be located in their communities. The land and tens of millions of dollars for upkeep would be DONATED to ALL Americans. This is a no-brainer if there ever was one. What is needed is a national groundswell of support for this park in order to overcome regional politics and spineless politicians. The north Maine woods are an undiscovered national treasure of some 10-15 million acres that has largely become a tree plantation criss-crossed by thousands of miles of logging roads. Maine’s forest products industry is dying and as that process continues, wildlands will be increasingly divided up into privately owned parcels for development, permanently changing the character of the north woods and closing many areas to outdoor recreation. It is not too late to preserve and restore what was wilderness, but it will take a national groundswell of public support to overcome local opposition that is preventing self-serving politicians from coming out in support of the park. I’m bothered by a lot of the comments – some are trying to create discord by saying that this type of thing are ‘land grabs’ and ‘privatization’, turning it into a their own ‘Private Idaho’ – but isn’t that what certain special interests have now? Would they rather have energy and extraction industries, developers, and loggers raze it and take it? The time just before the present moment A Happy New Year! And “pshaw!” 1.1 trillion Omnibus spending bill. A full text pg(s)1-2009 The text begins with Boil weevil eradication program loans, $60,000,000. Pg.47 Rural Economic Development Loans Program Acct. (INCLUDING RESCISSION OF FUNDS)$33,077,000. Pg.34 to 88-97 “Emergency Watershed Protection Program” $157,000,000. Provided $37,000,000. Note:Pg(s)101,102,103,104 “Beef and Pork” Pg.106 “Genetically Engineered Salmon” FDA $150,000. 121,124 $130,164,000. “Promote and Develop Fishery Products and Research Pg.752-755 Dept.-Wide Programs Wildland Fire Management $816,745,000. 763-764,786 Forest and Rangeland Research State and Private Forestry, Land and Water Conservation 787 National Forest System $1,509,364,000. 789 Forest Products $65,560,000. Pg.790 Range Fund grazing domestic livestock on lands in NF(s) in 16 Western States, 791 Wildland Fire Management $2,386,329,000. Pg.799,827,828,829 Timber Sale Requirements,834 Report on use of Climate Change Funds,836 Extension of Grazing Permits,842 Great Lakes RIFWPC ACT,1235,1255,1266,1987 National Fish and Wildlife Foundation Est.Act. pg.1992 National Grants For Oceans, Coasts and Great Lakes. A continuation of reading at some future time towards the end of the day to page 2009. Dec. 26,2014 Moyers&Company documentary of Democracy & Government, American Indians Confront “Savage Anxieties”. Nov. 8, 2013. How Dollarocracy is Destroying America. “out-of-sight” tragedy of the commons generation on the horizon,is Skyline: The Space elevator Documentary.
. . . and the point of this comment is? Do growth and well being go hand in hand? Is the current pattern of material consumption sustainable? Is it selfish to suggest that US citizens would be better off if 25% of each state was left in a “wild” condition?. Why can’t Americans, who are blessed with the richest patch of land on earth, live under our own “tent”. Why must we plunder other nations? What is to be gained by growing to the edge of our petridish?